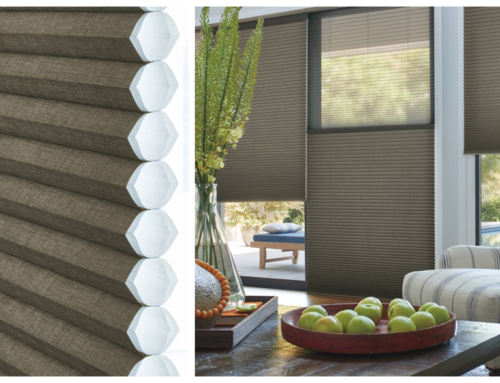 Window blinds and shades that are motorized, now have the technology to take your home comfort, protection, convenience and beauty to a whole new level. Homeowners are starting to understand the benefits and are investing in power blinds and shades for windows throughout their home and not just for high or hard to reach windows. 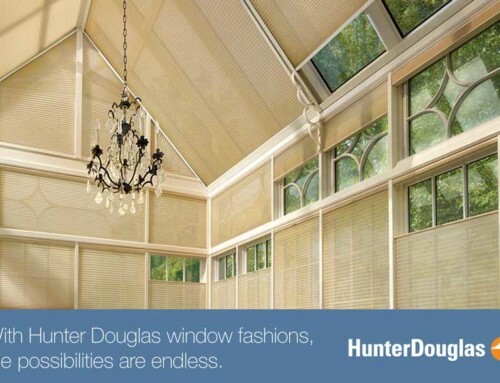 With the PowerView Technology from Hunter Douglas, the batteries in blinds can now last one to three years depending on usage, so you do not have to put a hardwired system in your home. Convenience: If your home has many windows, and especially if these windows are large, manually opening and closing the shades can be time consuming. Or you may forget to close certain shades prior to leaving the home, which results in the sun fading floors and furniture. By motorizing them and using either a hand held remote or a wireless wall switch, you can raise and lower them at the touch of a button. Or better yet, you can program the blinds to open and close at specific times and they will do so even when you are not home. 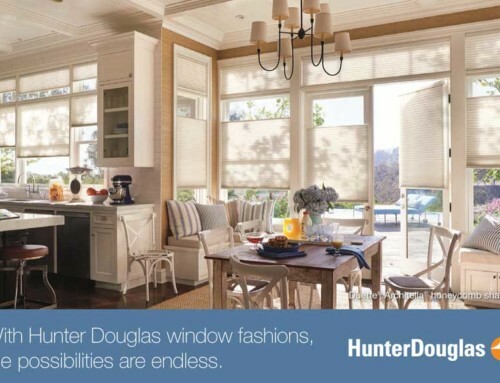 Security: By programming your shades through the use of a Hunter Douglas PowerView Hub and PowerView App, the shades will move up and down throughout the day. Your house looks as if someone is there when you are at work or even when you might be hundreds of miles away. The PowerView App can be down loaded to your iPad or iPhone which allows you to program the shades to operate at specific times throughout the day, giving your home a real lived-in appearance. Energy Savings & Furniture Protection: The heat that passes through the window panes on a hot, sunny day, called solar gain, can cause your home to heat up in the hot summer months and fade furniture and floors. Installing Power shades and using the PowerView app, will allow you to program the blinds to lower at a specific time. 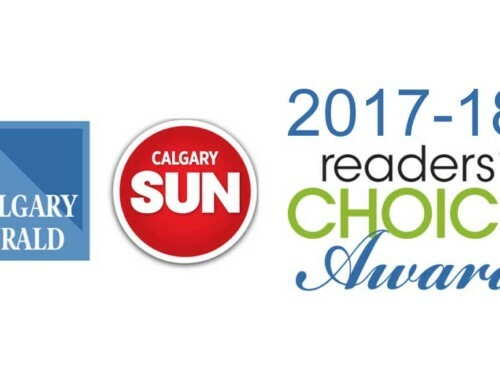 By closing the shades when the sun is shining in the windows, will save money in the long run, if you need to run your AC. Covered windows will also keep your floors and furniture from fading. 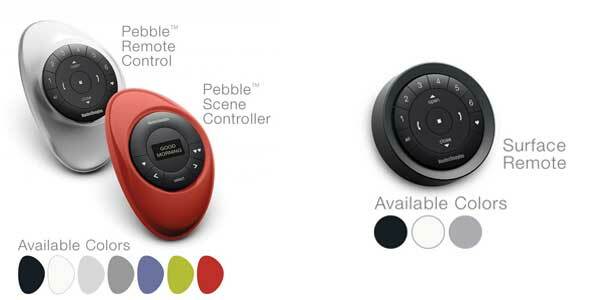 Child and Pet Safety Blinds that have been motorized eliminate the need for cords, which can be dangerous. The threat of strangulation to children and pets is eliminated. 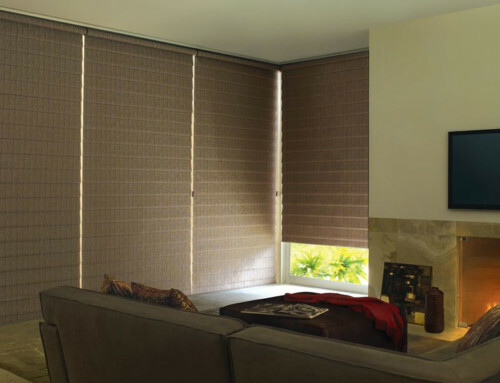 Wear and tear on the blind is also less as the strain of lifting a large blind is removed when motorization is added.